At least a thousand pallets of water bottles, meant for Hurricane Maria survivors, were left to rot under the Puerto Rican sun. 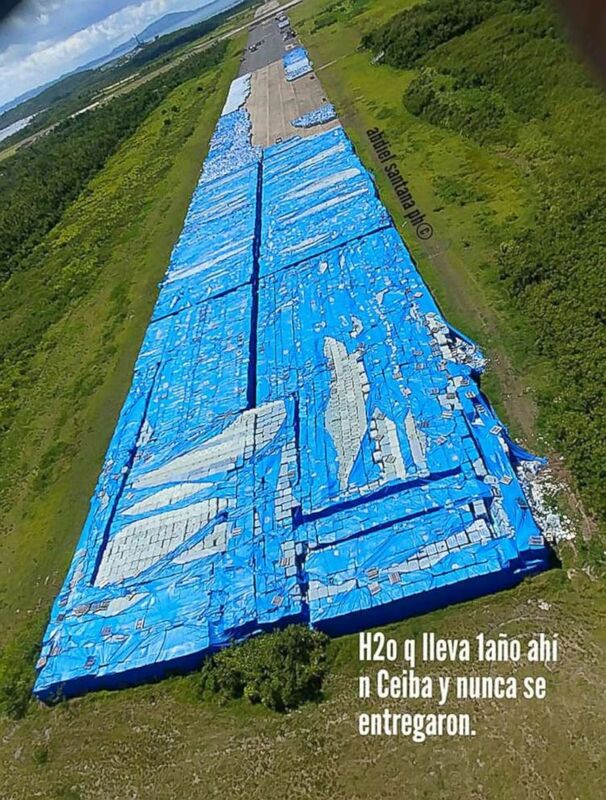 Thousands of water bottles left on an naval base tarmac in Ceiba, Puerto Rico that were meant for Hurricane Maria survivors. "The government of Puerto Rico did not receive the water to distribute during the emergency, it was under FEMA's custody and it wasn’t until April 2018 that the surplus inventory was available upon request," Hector Pesquera, Puerto Rico’s secretary of public safety, announced at a press conference in San Juan on Wednesday.